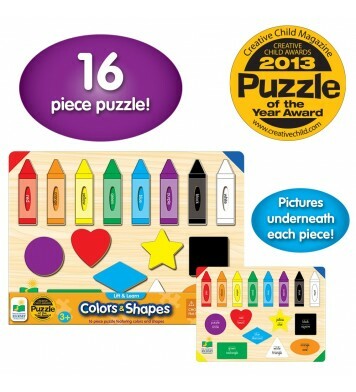 PUZZLES There are 46 products. 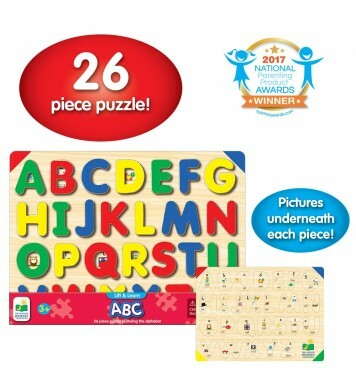 This fun and colorful tray puzzle features the alphabet and will encourage children to develop letter recognition skills. Lined text under each piece teaches handwriting skills. Pictures are also printed under the pieces to guide younger children. Each puzzle measures 15" x 11" . Ages 3+ years. This fun and colorful tray puzzle features colors and shapes and will encourage children to develop color and shape recognition skills. Lined text teaches uppercase and lowercase handwriting skills. 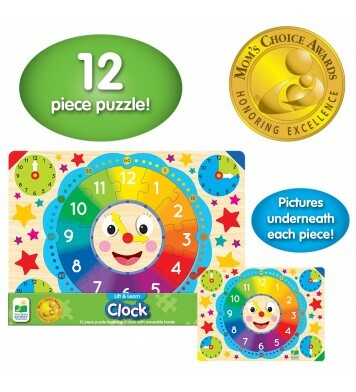 Pictures are also printed under the pieces to guide younger children. Each puzzle measures 15” x 11”. Ages 3+ years. 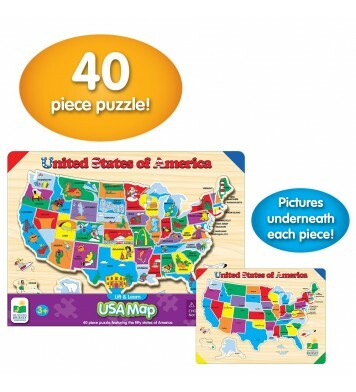 This fun and colorful tray puzzle features the United States map and will teach children the 50 states. 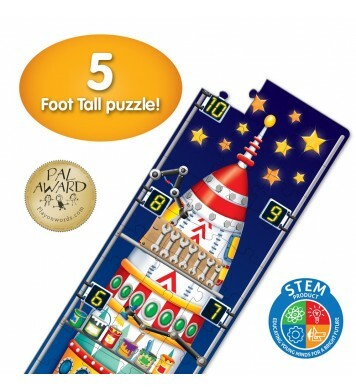 State capitals and picture are also printed under the pieces. Each puzzle measures 15” x 11”. Ages 5+ years. 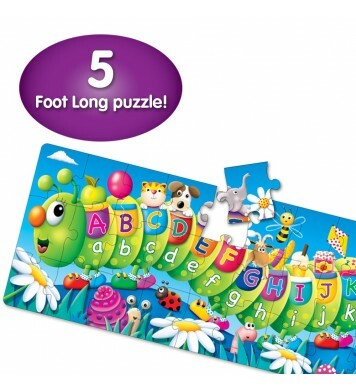 Kids will “inch” their way through learning the alphabet with this fun ABC Caterpillar puzzle. Measuring 5 feet long this colorful caterpillar features letters and objects with the same beginning sound. 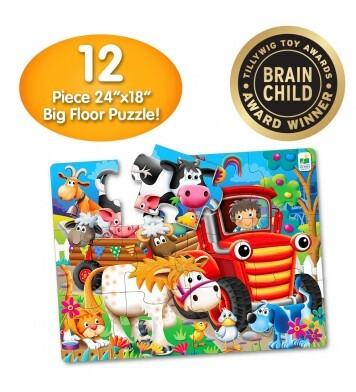 With 51 pieces this jumbo puzzle will keep your little ones engaged for hours. Ages 3+ years. There is something special about watching little ones grow excited as they put together puzzle pieces one by one. 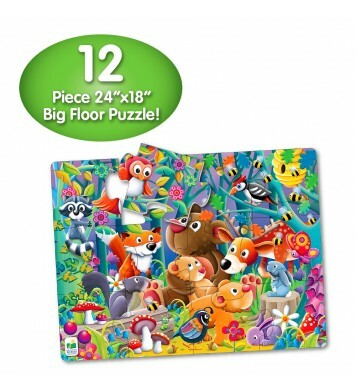 With their large,sturdy pieces, these beautifully illustrated My First Big Puzzles will help them enjoy hours of entertainment creating lively scenes. Each puzzleincludes 12 pieces and measures 24” x 18”. Ages 2+ years. There is something special about watching little ones grow excited as they put together puzzle pieces one by one. 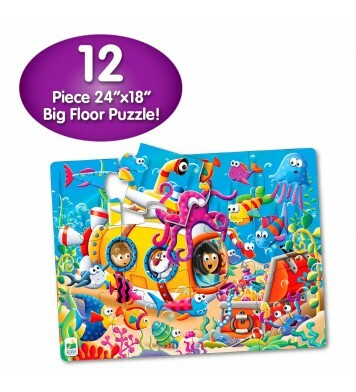 With their large,sturdy pieces, these beautifully illustrated My First Big Puzzles will help them enjoy hours of entertainment creating lively scenes. 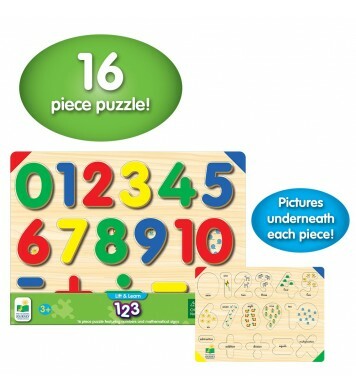 Each puzzle includes 12 pieces and measures 24” x 18”. Ages 2+ years. There is something special about watching little ones grow excited as they put together puzzle pieces one by one. 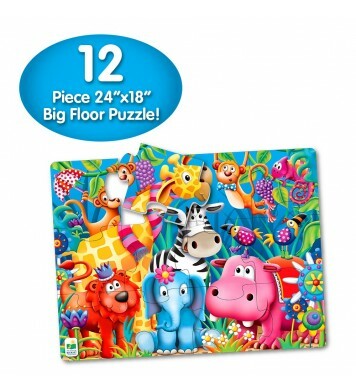 With their large, sturdy pieces, these beautifully illustrated My First Big Puzzles will help them enjoy hours of entertainment creating lively scenes. 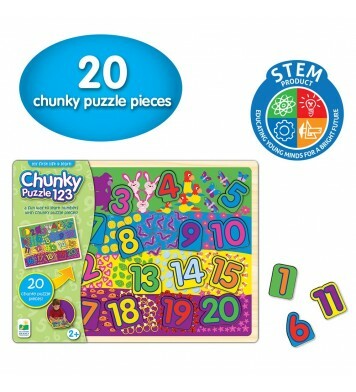 Each puzzle includes 12 pieces and measures 24” x 18”. Ages 2+ years.